Joanna has been a Furman Fellow at NYU School of Law, where she coordinated the Furman Academic Scholars Program. She has held visiting researcher positions at Yale Law School, at the University of Groningen’s philosophy department, and at the University of Toronto’s Munk School for Global Affairs. She has consulted for parties and has authored amicus briefs in a variety of World Trade Organization and North American Free Trade Agreement disputes, and has held positions at the World Trade Organization and the International Centre for Trade and Sustainable Development. Joanna has also been a law clerk to the judges of the Ontario Court of Appeal; a summer associate at the Washington, DC office of WilmerHale LLP; and a policy analyst for the G8 Research Group. 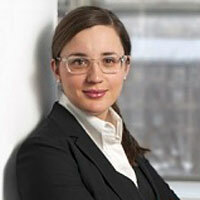 She is licensed to practice law in New York and in Ontario. Joanna’s writing has been published in the Yale Journal of International Law, the NYU Law Review, the George Washington International Law Review, and The Globe and Mail. She has presented her work in a number of forums, including the British Institute of International and Comparative Law, Georgetown Law, NYU Law, the University of Toronto Faculty of Law, and Windsor Law. She is currently the managing editor of the University of Toronto Law Journal. The Furman Academic Fellowship is available to graduates of the New York University School of Law who are actively pursuing an academic career.